When I created The Essential Planner last October, it was really a grand experiment. Could I make the planner I had always wanted but never found? Could a planner that gave you a place to note down your really essential tasks but didn’t ask you to do anything extra really work? Could I really just do way less than I thought I had to? So I made it and in 2018 I discovered it worked; exactly as I had hoped. This past year, with the help of my planner I have done so much less but still managed to achieve what really mattered to me. The pursuit of less is definitely a continuing journey, especially in a world so desperate to convince you that more is better, but this I know for sure, it’s a pursuit that is worth it. The 2019 Essential Planner is true to last year’s format, which worked so well for me and so many of my lovely customers who’ve shared their experiences with me, but with a few added extras. A dedicated space each week to plan something especially for you, a page for planning your adventures for 2019 and a page to record the things that nourish you, to remind you to take some time for that too. There is really nothing I can say that will better describe what The Essential Planner is all about than the beautiful video above, made by my ever so talented (and seriously supportive) husband Dan. 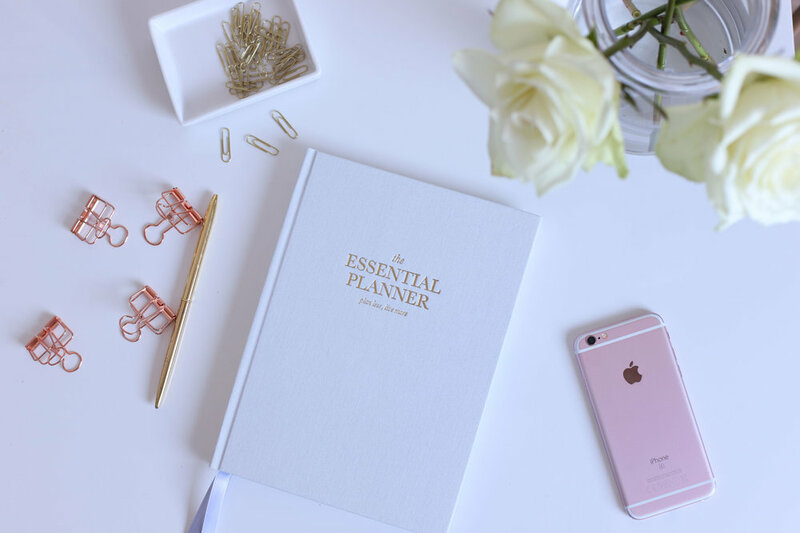 I sincerely hope you join me in 2019 for The Essential Planner journey. In the end it won’t be the completed to do lists and perfectly curated images you remember, it will be the laughs and the tears, the hugs and the journeys. Let’s all make some time for that.